"There are not many books that I have found in recent years that I have wanted to read twice. Demon Vampire is a satisfactory and highly enjoyable read that makes you want to read more. I enjoy Marin's story. I love how it is written, and while the confused vampire who does not want to kill is an overdone theme at this point, Marin's story is nicely done and I want to read more." "I found this to be a very well written different approach to the vampire genre. I enjoyed this book and the characters. I felt the author took time and developed them so we could become well invested in them. The book flowed smoothly and I was able to read it in one sitting. I am glad this book will be continued as I really enjoyed the characters and would like to see where he goes with them from here. I would highly recommend this book to my friends who read in the vampire genre, but I would also recommend it to anyone who wanted something a bit different. I was given a link to download this book for free and I must say thank you for that." "An awesome vampire tale, unlike most I have read. The characters are mysterious, with secrets to unfold. Is anyone really safe with vampires all around? 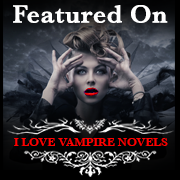 I love a great Vampire story and Demon Vampire (The Redgold Series) had me hooked from the first page until the last"
"Demon Vampire has everything I look for in a vampire book, and more! This story is truly a unique and original one. If you love vampires novels but are starting to feel like that are "all the same" then try this one. It may just rekindle your love for vampire fiction!" "Some stories are like appetizers, others are like lunch and my favorites are like desserts. In the case of Demon Vampire, I can easily say its like a Thanksgiving Dinner with every single fixin' you can think of!" "I sat down to start reading this during a spare moment, and I was still reading it 5 hours later!" "I quickly became completely absorbed in the storyline. I REALLY enjoyed this book." "Absolutely loved the flow in this book"
"Wow is this book long! This book is extremely detailed." "I am unable to remove myself OUT of the book. It has totally sucked me into it's realm! It's like walking into a dream where you do not trust your senses because you do not know what is around the mist coming up off the ground." "I started reading on the beach on my phone - It was Incredible! I couldn't stop reading to change to my laptop." "-A horror story because it gave me nightmares." "Seeps into your mind and produces an lucid trance from page one. The more you read, the more you won't be able to put down this powerful book. You will be dazzled by this first novel by Virgil Allen Moore." "The worlds most powerful vampires." "Virgil Allen Moore blew me away with his Demon Vampire!" "Virgil Allen Moore has crafted an extraordinary story with a unique protagonist."